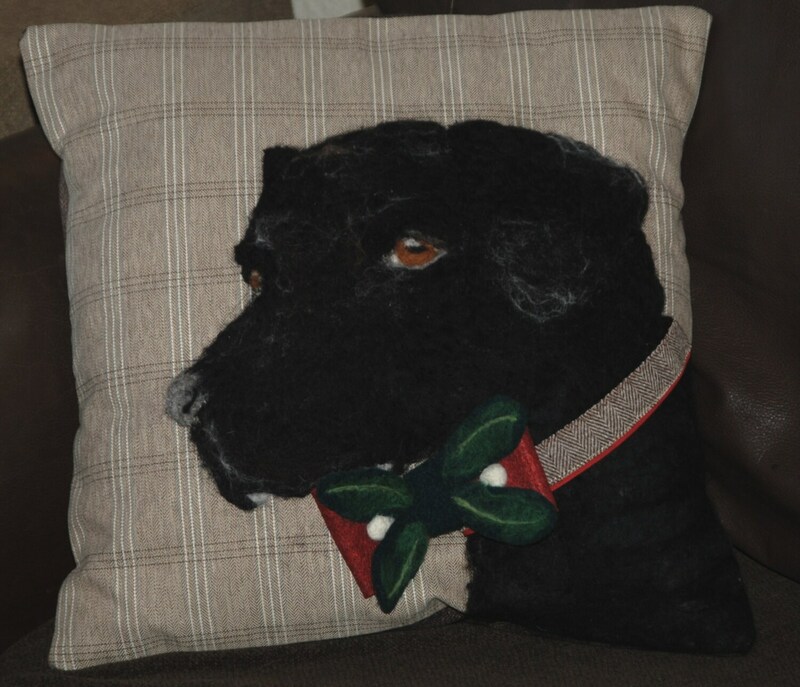 Custom pet portrait pillow cover, Black dog throw pillow. Perfect gift for dog lovers. Personalized pet portrait from a photo. Custom pet pillow covers that make a house a Home. 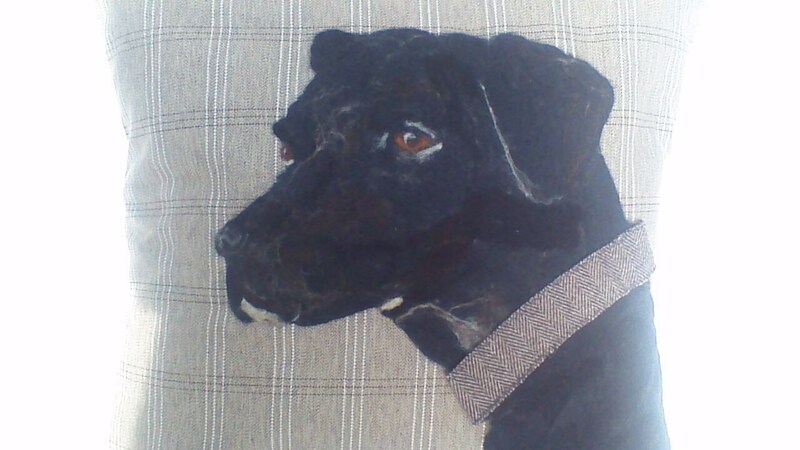 Pet portrait from a photo felted completely by hand onto a pillow. 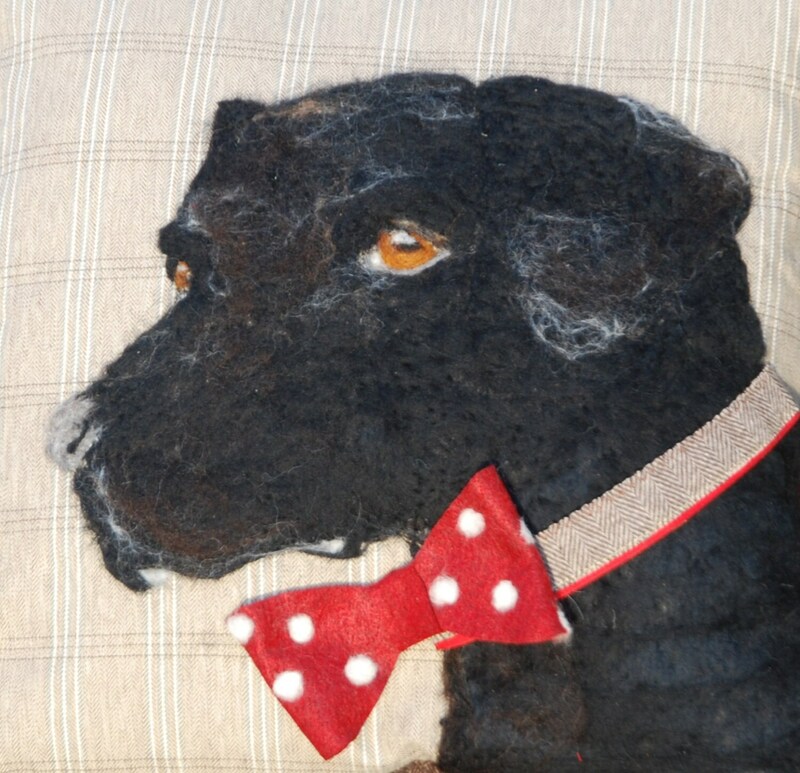 This Black Labrador is needle felted with soft merino wool and each design of dog is unique and loveable. The wool gives your pet a lovely soft feel with natural colour tones and raised features. This pet portrait cushion has been designed and handmade by me with great care and attention to detail and fabric quality and has a concealed zip. 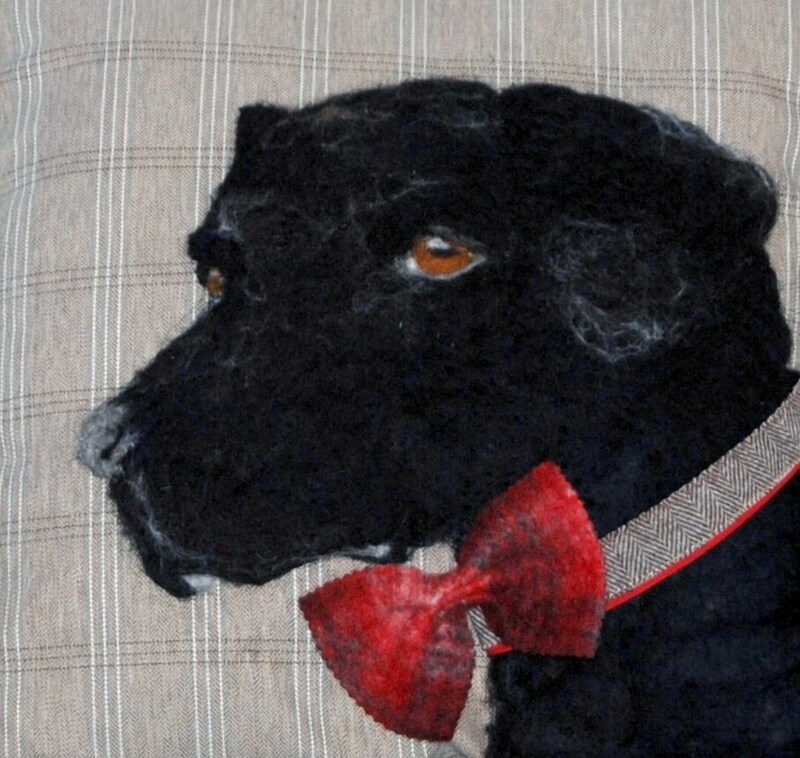 This black dog is needle felted onto a cotton pillow of subtle brown check. These colors go well with many decor schemes and especially creams, browns, golds and reds. Each cushion is unique and made to order. I post 5/6 days from the time of a confirmed order and receiving the photo of the pet for the design. When it is time to celebrate you can spruce up your pillow to join decorations. 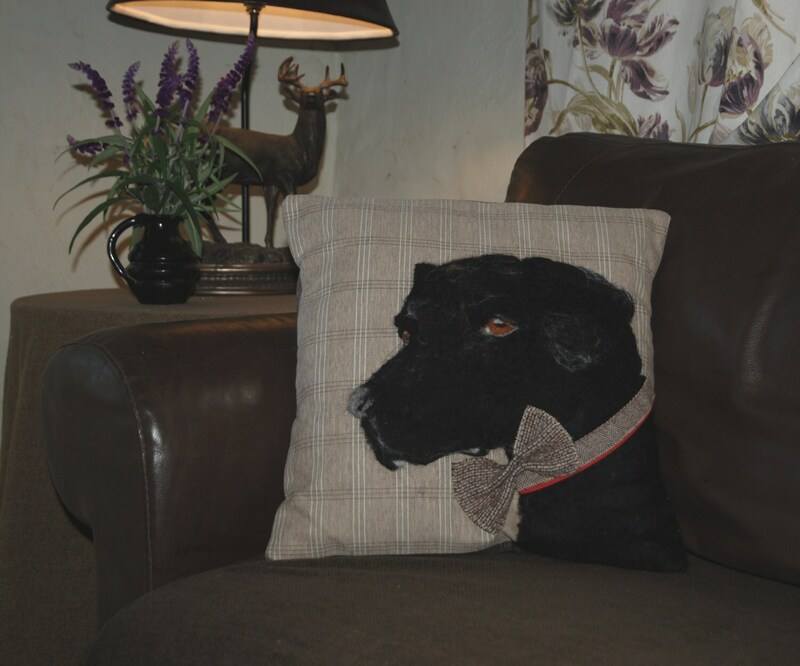 Each pillow comes with a detachable bow tie which can be attached to the dog's collar with a brooch fastening. The size is 16 x 16 inches (40cm x 40cm) for other sizes just send me a message. Have your lovable dog on the sofa to hug always. The perfect gift for dog lovers.